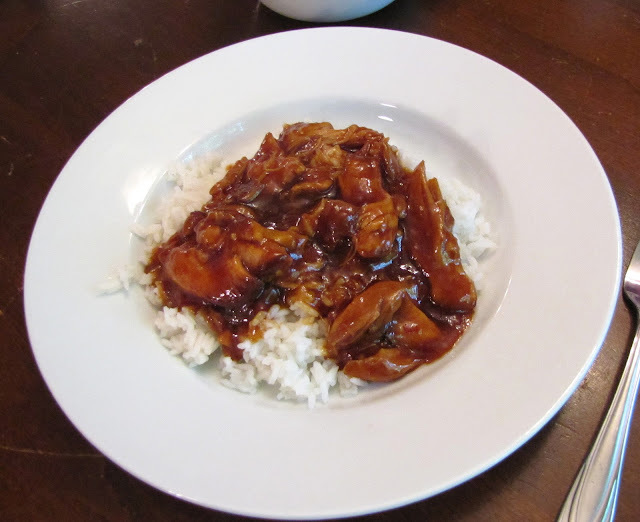 So I was searching Pinterest the other day looking for something to do with the chicken thighs I had taken out of the freezer and discovered this recipe. I wanted something I could just put in the crock pot and forget about. (I love those kind of meals.) It was delicious! 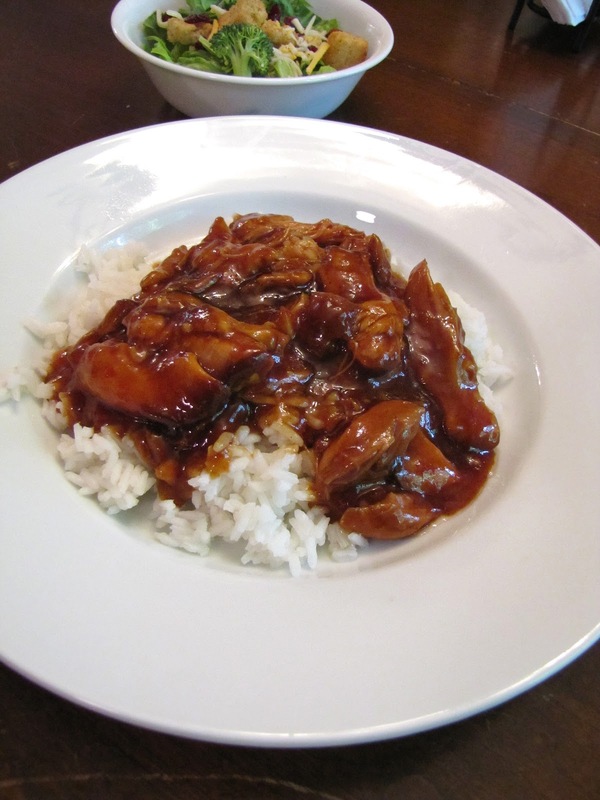 I had everything already in my pantry except the sesame seeds so those didn't make it this time but I will definitely be getting them to make this again. This would also have been great with noodles like you would find in lo mein instead of rice and shredded veggies. Definitely a keeper! Season both sides of the chicken lightly with salt and pepper, put into crock pot. In a small bowl, combine honey, soy sauce, onion, ketchup, oil, garlic and pepper flakes. Pour over chicken. Cook on low for 3-4 hours or on high 1 1/2 – 2 1/2 hours, or just until chicken is cooked through. Remove chicken from crock pot, leave sauce. Dissolve 4 teaspoons of cornstarch in 6 tablespoons of water and pour into crock pot. Stir to combine with sauce. Replace lid and cook sauce on high for ten more minutes or until slightly thickened. Cut chicken into bite size pieces, then return to pot and toss with sauce before serving. Sprinkle with sesame seeds and serve over rice or noodles.